Join us for the first CALG quarterly meeting of 2016 on February 25th, 2016. Cheryl Behymer is a partner in the Columbia office and co-chair of the firm’s Affirmative Action and Federal Contract Compliance Practice Group. She assists clients by providing timely and practical counsel and training in affirmative action, workplace harassment, immigration compliance, employee leave issues involving the Family and Medical Leave Act and the Americans with Disabilities Act, and other labor and employment issues. Cheryl defends employers who are responding to administrative charges, actively involved in litigation, or are participating in compliance reviews conducted by the Office of Federal Contract Compliance Programs. She prepares affirmative action plans for federal contractors and subcontractors and assists clients with self-audits. She also defends employers in multi-plaintiff lawsuits, including class actions based on Title VII and the Age Discrimination in Employment Act, as well as in Fair Labor Standards Act collective actions. In addition, Cheryl assists employers in protecting their confidential and trade secret information, as well as enforcing and defending covenants not to compete. Cheryl is Past Chair of the South Carolina Diversity Council, a partner of the South Carolina Chamber of Commerce devoted to encouraging, supporting and educating employers as they seek to increase diversity in the workplace. She is also a Board Member with the Palmetto Center for Women, an affiliate of the YMCA. Cheryl is "AV" Peer Review Rated by Martindale-Hubbell and she was selected for inclusion in South Carolina Super Lawyers. 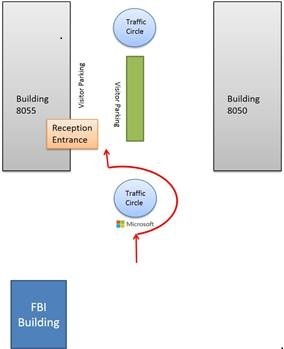 Our breakfast meeting will be held at the Microsoft Campus. All members and guests must show a government issued identification document (driver's license) for check-in. Registration deadline is Sunday, February 21, 2016.